Seller does combine shipping. He also accepts offers, so I'm sure a deal could be made for a large lot. Thanks David! I knew of the American Tortoise and the Minitrix connection, but I guess didn't know that ATI was American Tortoise Inc. I also thought that they were somehow related to the Tortoise Switch Machines (but I that is not the case). Next up: soldering all of the rail joiners, then spray-painting the track. Congrats! But the only boxcar I see is on the upper left. Huzzah! And in near record time! That's an FM switcher. You're just not looking hard enough. Found it - thank you! Photo is rather small and I should be wearing glasses. 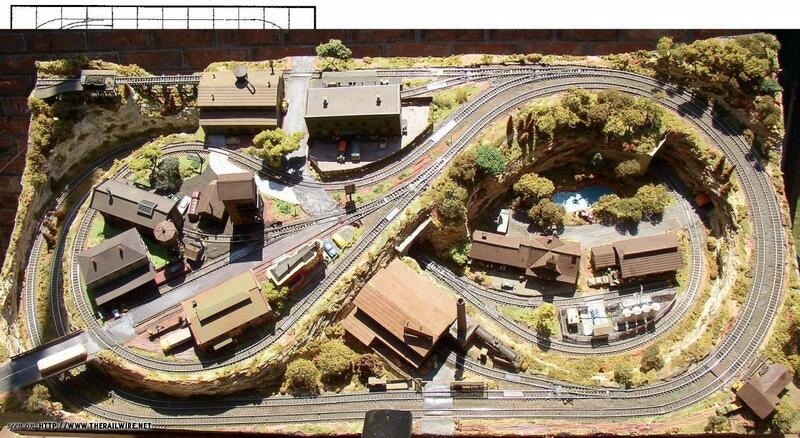 The only sectional track layout I helped build for a club raffle worked fine until we soldered the rail joiners. When we did that it narrowed the track gauge so much that nothing would run on it. We ended up replacing the sectional track with flex track, then things ran just fine. I wish you better success than we had. Thanks for the close-up. In the other picture, it looked like a European diesel, to me. Is the building base where it is, for the Atlas factory? Is the building base where it is, for the Atlas factory? Ah, a natural black plastic roofwalk - is than an Atlas car? I really liked the fact that these had metal wheels (but unfortunately also steel axles, which could make magnetic uncoupling a bit of a challenge). Assuming that you kept the original trucks and body mounted Kadee 1023 N scale couplers like I used to do. Is that foundation for Atlas "factory" or is it called "Machine Shop"? That's actually a Postage Stamp car, but nearly identical to the Atlas version of the same era. Rapido couplers only on this layout--note the uncoupler tucked inside the building. Is that foundation form Atlas "factory" or is it called "Machine Shop"?